Photo: Mario Grut. All rights reserved. As British scholar Ruth Charnock notes in the upcoming Vol. 6 of A Cafe in Space (due out Feb. 21, 2009), as well as American scholar Sarah Burghauser in Vol. 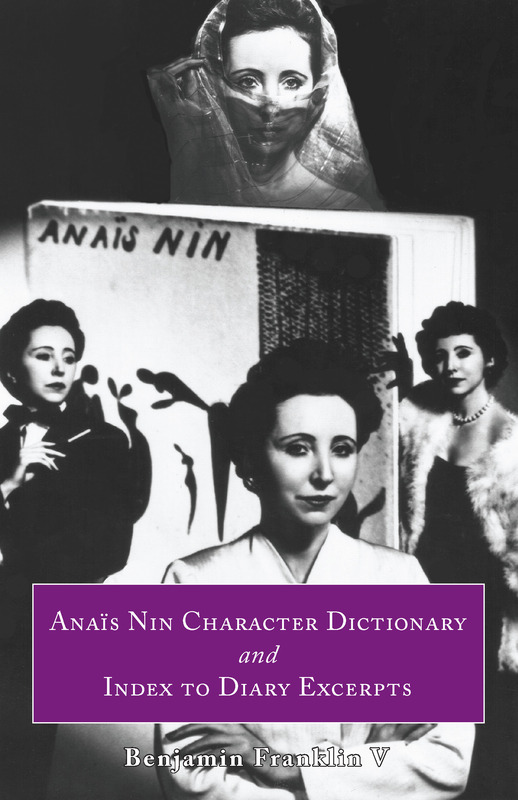 5, Anais Nin’s appearance had much to do with her public persona. 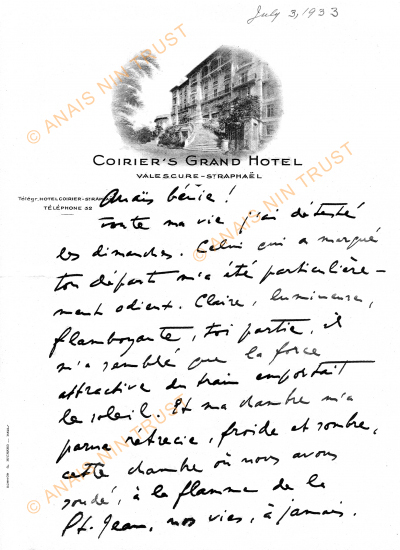 Charnock recalls Evelyn Hinz’s comments that when Nin appeared at lectures, she seemed to come from between the pages of her diary, that the audience felt they were witnessing not only the author of the famed diaries, but the woman who appears in them even though they were written decades earlier. Nin commented on her appearance from time to time in the diary, noting lines about the eyes, the weakness of the neck, but she also noted that her body retained its youth–her breasts were firm, her legs slim and beautiful. At the age of 70 she recorded the fact that she still was desired, that she still inspired love letters. Nin did resort to cosmetic surgery before it became popular to do so…she had a nose alteration early and a facelift much later. But Charnock notes that there is a certain grotesqueness in the older woman’s youthful body, a body that can play tricks on the mind of the observer. Indeed, the photograph accompanying Charnock’s article is of Nin in the 1960s, wearing a miniskirt and go-go boots…a striking contrast with her face. The photograph here was taken in 1960, when Nin was 57, by famed Swedish photographer Mario Grut. 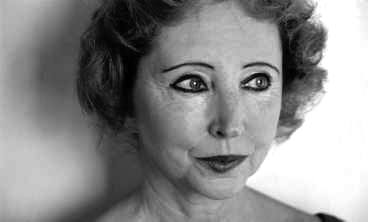 The photograph gained notoriety with its unforgiving harshness, leaving little illusion about the fact Anais Nin was in fact not ageless, but starkly human. 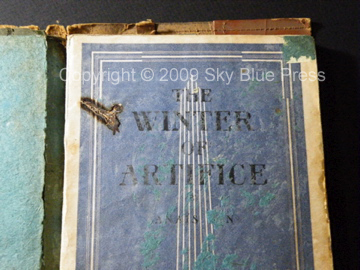 This copy of the original Obelisk Press (Paris, 1939) edition of ‘The Winter of Artifice‘ was literally cut up by Anais Nin in New York after fleeing Paris at the onset of war. Because the Obelisk Press version was banned in America, Nin had no choice but to cut out the parts of the book the censors found intolerable. That meant the story “Djuna,” which was the fictionalized version of Henry and June, was totally cut out, and good portions of the other 2 stories (“Lillith,” which became the story “Winter of Artifice,” and “The Voice”) were heavily edited of all offensive passages. The result was the Gemor Press version of Winter of Artifice (1942), which was privately published in America. Not until 2007, when Sky Blue Press brought out a facsimile of the Obelisk Press edition, has the original version been in print.